Hate Gmail's New Look? Here's a Fix! Gmail recently ‘updated’ its look, meaning that Gmail has a new user interface (UI). But not everybody loves, or even likes, the new Gmail look and feel. For one thing, it spaces out the content, taking up too much real estate with too little content. For those who prefer a more compact look, this new look is unliked, unwanted, and unacceptable. In fact, there used to be an actual setting “compact view”, which many preferred, however the compact view was done away with with the advent of this new look. Well, we’re going to tell you how to recover a more compact view and it will load faster for you, too! 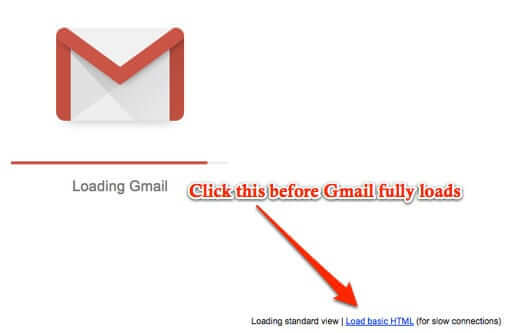 Start to log into Gmail, and while Gmail is loading click on the link at the bottom that says ‘Load basic HTML’. Now before you do anything else, look up towards the top of the page, and find the link that says ‘Set basic HTML as default view’. Gmail recently 'updated' its interface, meaning that Gmail has a new user interface (UI). But not everybody loves, or even likes, the new Gmail look and feel. For one thing, it spaces out the content, taking up too much real estate with too little content. Google clearly is evil. The new interface is evil. Google execs are evil. Time to dump gmail and Google search for a company that respects privacy and users. The new look is definitely the problem for alot of people while the new functionality is the problem for others. The point is, they think they have the right to tell us how we are to use an email program. In my case, I cannot stand looking at unread emails because the Fu** it all up with bold glaring fonts with some sort of glistening white background and it almost causes me to have a seizure. then, there is the option to click back after reading an email. The menu above shifts and changes with different options causing another seizure. This is absurd. Then there is the stupid triple horizontal lines in the upper left corner where you see “GMAIL” and clicking this causes all the text for the labels to disappear but those stupid little icons still remain. I don’t want those stupid icons there at all but in going back to a classic Gmail, all those who have expressed their disgust with Google’s power trip force feeding frenzy would be able to utilize the part of Gmail to wish to exploit rather than allowing Google to force us to accept what they wish to exploit for us. Google decision makers responsible for this are nothing but a bunch of as*Ho*es for this email stunt. There isn’t any reason to remove a classic interface. In fact, most of the new options they stuffed in the new interface can be set to disable and we can prevent Google from being able to COMPLETELY have their way with us. But they still bastardized the fonts, the colors, and how they have menu headings bouncing side to side, back and forth, and they used to just stay the same with easy to see outlines in all the right places. They cannot justify why a classic interface shouldn’t at least be implemented as a theme. But they specifically made it a point to take it from us completely and that to me makes them a bunch of jerks. 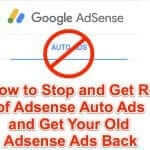 If I were to express what I think of google for how they screwed my ability to even LOOK at their email program, I would have the longest string of curse words known to man using terms I guarantee many have never heard or thought of, and would raise some eye brows and possibly scare the SH*T out of some people. I’d be kicked off the web for sure and Google would probably take out a restraining order. Hey guys I searched and couldn’t find the answer. But now I have it! When you send a message, quickly look in the bottom left hand corner of the screen and briefly, “UNDO” appears there on a black banner. I really HATE the new gmail format. Also they have removed the option to cancel send. When I go into settings the drop down list of 10, 20, 30 sec is there, but the option to enable or disable has gone. Mine looks as though it is on 30 seconds, but when I tested it, it just sends anyway!!! It’s the same in the html version. Seriously considering a different email provider. Sharon is right it’s all about CONTROL. The LOOK is not the issue for the new Gmail! It’s the CONTROL that they took over what I can do with my own email. 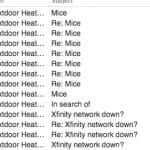 For instance, one thing I hate is that you can’t mouse over an inbox mail sender and find all the mail that matches that sender so you can file, label or delete, to clean up your files when YOU want to! I don’t know what all else is so stinking messed up because I can’t stand to go on there. 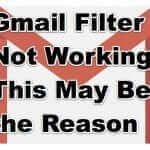 I’m in search of a replacement that will take me transferring ALL of my gmail and folders, etc to that program. I have been a GMAIL user SINCE 2006 and have a number of account names!!! I WANT CLASSIC BACK BEFORE I CHANGE! Thanks. A better option than the new look. Much thanks! I really hate it when these companies bring on these quick changes. It must be that they find some money-saving features that embellishes their pockets.